This sloka taken from the Puranas claims …………There is no place in the entire universe that equals Venkatadri, the place where the Lord resides and there is no God, neither in the past nor in the future who equals Lord Venkateswara. TIRUMALA, the abode of Lord Srinivasar stands unique as an embodiment of man’s eternal quest for the divine and His infinite grace. A piligrimage to the sacred Hills is a soul-stirring experience cherished by every devotee. The puranas say that soon after Dwaparayugam ended and Kaliyugam started, Lord Krishna, decided to stay back to protect one and all and chose TIRUMALA. The appearance of the Lord would be mentioned in detail later as a piligrim’s diary . Lord Thiruvengadamudaiyan is acknowledged as the most glorious and auspicious avatar of Lord MahaVishnu in this Kali Yuga. Even atheists and rationalists admit a sense of humility and the presence of the Lord can be felt by one and all as soon as one approaches the sanctum sanctorum..
May be , this made Kulasekhara Azhwar in his Perumal Thirumozhi to burst into the pasuram “PADIYAAYI KIDANDHU UNN PAVAZHA VAAI KAANBENEY”. The piligrims who seek his darshan enter the serpentile queue chanting the holy name and with deep devotion wait patiently to have the LORDs darshan . And as one joins the queue along with several devotees chanting LORDs names GOVINDA GOVINDA ..the feeling is very special . Once we understand we are reaching the temple main door . we can have darshan on our right side Lord playing dice with a baba . (near the old Sreevari Sahsra Deepalankara seva stage) . 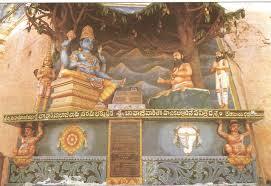 This huge models of LORD playing dice with a babaji makes one wonder what divine leela that would this have been . It may be noted , among several devotees , Few hundred years ago Bahavaji from Northern India an advanced devotee of Lord Sri Ram joined a group of sants in having darshanam of LORD VENKATESHWARA in Tirumala . Incidentally the day when Bhavaji entered temple for darshanam was Puratasi Saturday ( the entire month of Purattasee ( September -October ) commemorating LORDs Appearance month . Bhavajee after having LORDs darshan was in complete bliss . The divine place it was and the HARI NAAM attracted him a lot . He could experience inner peace multifold at this place .He decided that the search for his LORDRAM has ended and hence decided to remain there .He was so fascinated by the majestic appearance of the Lord that he decided to be there permanently having darshan of the Lord all the time. With the devotees and mahants support he constructed a small Ashram (a place where the saints live near the temples) and settled near the temple permanently . Bhavaji paid his obeisances to LORD as often as possible and he was slowly dissolving LORD in himself Few occasions , He used to swoon and fall and sometimes with tears used to have darshanam of the lord unmoved for a long time . This continued for a few weeks and months in the temple . The Temple authorities being ordinary onlookers could not understand the devotion of him . They became suspicious about his long waiting and hence reported the matter to the Temple Chief . With the instructions received from the higher ups , Bhavaji was not allowed the next day . He was given a strict warning not to come to the vicinities of the temple . They demonstrated their anger by pushing him out . Our Bhavajee pleaded the staff not to separate him from his Lord Ram . But all this went to deaf ears . A sad and dejected Bhavaji returned to his Ashram with tears . Bhavajee expressed his grief to LORD with tears praying for HIS mercy in having HIS darshan . Whenever he used to make an attempt to enter the temple he was mercilessly pushed out . Bhavajee was not sure how to pass his time without having the Lord’s darshanam. Bhavajee was in deep sleep . Suddenly he heard a pleasant voice calling, Bhavaji! Bhavajee .. Please Wake up! It’s me, Your Rama! Bhavaji opened his eyes and was amazed to have darisanam of LORD standing in front of him. He just couldn’t believe his eyes. He pinched himself to cross check was it a normal dream ?? 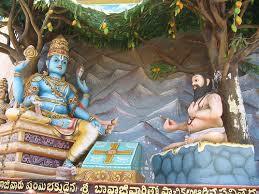 Amazed Bhavaji fell at LORDS feet with tears . LORD lifted him and said HE was keen to play dice with him . Bhavajee a bit shy , expressed joy like a small child . A jubilant Bhavaji laid a mat on the floor and offered an asanam to LORD . Was it true ?? LORD playing dice with his devotee …. It was something strange . The game begun…and LORD lost the game by making HIS devotee win .The innocent Bhavajee was feeling so elated . LORD kept loosing many games and was feeling pleased with HIS devotees win . Our compassionate Lord wanted to gift HIS devotee VICTORY always …. and hence asked Bhavaji to seek any boon . Bhavaji politely said, Lord ..!! I am the most fortunate person to have YOUR darisanam and also play with you . My humble prayer to you ..Oh LORD please grace me with an audience on daily basis as the temple staff are not allowing him inside . To this LORD just smiled expressing his love to Bhavaje. Next day our Bhavaji was eagerly waiting for LORDs arrival .He was feeling a strange excitement . He literally prayed the sun to leave the horizon as soon as possible . He was very excited recollecting LORDs bewitching smile and the fatherly love soothing him . Finally the wait was over. The Temple staff closed the huge doors of the temple Even our Lord also was keen to meet HIS devotee . 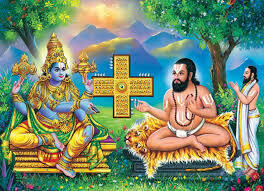 Lord made his move by coming out of the “Ananda Nilayam” and went to Bhavajees ashram . Bhavajee profusely fell at LORDs feet and offered asanam . It became a regular practice for the Lord to visit the Mutt and spend time playing dice with Bhavaji at night when the temple doors were closed. One day Lord was playing dice with Bhavaji. Bhavaji heard some noise in the ashram .He had to go out to check what could be that noise , but there was nothing special . It was a gentle breeze which disturbed the utensils to fall . When he returned to inform the same to Lord, he found that the Lord had already left the place . Disappointed he looked down but was surprised to see a diamond studded necklace of the Lord lying at the board. He picked up the necklace and kept it safe thinking that the Lord might have forgotten it and he would return when He comes back to play next time. The next morning the Chief Priest attending LORD noticed a missing necklace which he promptly reported to the Temple Authorities. The Temple Authority were worried about the theft of Lord’s necklace. The search for the necklace began All the employees were called up on and inquired about the missing necklace. The Chief Priest informed the management about Bhavaji and raised suspicion over him. The Temple Authorities ordered to summon Bhavaji for enquiry. Bhavaji as usual was awaiting for Lord’s arrival to play the game of dice. Sadly that day LORD did not join him . but he could heard someone calling his name . By the time he reached , the soldiers got in and started searching all over the place. Bhavaji was surprised to see them searching the ashram all over. He understood from them about the missing necklace . Bhavaji immediately got the missing necklace he held it safely to return the Lord when he visits again. He innocently submitted to the guards… Was this the necklace you were looking for? The soldiers without any concession arrest Bhavaji for his theft . Bhavaji pleads his innocence to the security staff , but it goes to deaf ears Bhavajee expresses LORDS compassion and mercy over him .He tells them about the DICE game played with LORD daily and that particular day he saw LORD has forgotten the necklace and he was preparing to return the same the next time LORD comes . This innocent explanation make all of them laugh and fun of him . The next morning Bhavaji is reprimanded in the courtyard of the Emperor Sri Krishnadevaraya . Sri Krishnadevaraya listens to Bhavaji’s explanation and feels it would be unjust to punish him without sufficient proof and proper investigation. He therefore, decides to put Bhavaji on test. Sri Krishnadevaraya informs the devotee Bhavaji that he will be given an opportunity to prove his innocence provided he succeeds in consuming the entire heaps of sugarcane kept in his jail cell by the next day else he will be punished severely..
Bhavaji surrenders to the will of LORD . Without any choice he accepts the Emperor’s decision. In the prison cell , tons of sugarcane heaps are dumped before him and the cell doors are locked . Bhavaje sits in a corner looking at the heaps of sugarcane .With tears he submits to LORD for his mercy .Our all compassionate LORD never fails to rescue HIS devotee . Oh Ram…! Oh Ram..! My Ram…!……..
You have come up for my rescue. How lucky am I? The Elephant blesses Bhavaji and disappears On hearing the Elephant’s noise , the guards are suprised to see both the sugarcane and the elephant have disappeared . The Emperor Sri Krishnadevaraya understands the devotion of the saint after being briefed by his soldiers and relieves him of all charges and appoints Bhavaji as the Chief Priest of the temple of Tirumala. Since this Baba Bhavaji’s beloved Lord “Sri Ram” had personally come to his rescue in the form of a Hathi (an Elephant) he is affectionately called as Hathiram Baba. As the Chief Priest of the Temple, Bhavaji served the Lord for many years. He later entered into a Jeeva Samadhi. His last years were spent near Sri Venu Gopala Swamy Temple on the way to Papavinasam on the hills of Tirumala. 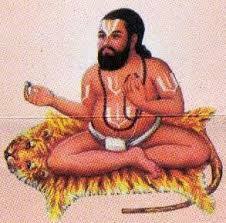 A Samadhi of Hathiram Baba had been constructed there and daily pooja is being performed even today. People visiting Sri Venu Gopala Swamy Temple pay their homage to this great devotee of Lord Venkateswara. The Hathiram Baba Mutt had been built on the top of southern side of the temple in his remembrance. LORD announces to the world that HIS devotee is always special and always gives him the place over his Thirumudi . Previous postLord Parthasarathy darisanam at Aranmula in Kerala . Next postHoly Places related to Ramayana.”………….. Lord Sri Rama Anu Yatra- Sri Ramanin Padayil……. I have no words that in what way express my feelings, family maintain, devotee , philosophy many many thank you sor. Amazing past time,I often read your post and I found them really interesting. May God bless you with higher devotion and give you strength to serve his devotees. Stay blessed .jai Govinda. Jai gaur nitai. S it’s really great . 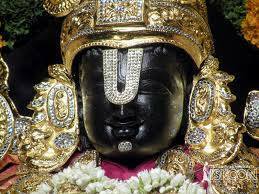 Lord Venkateswara Swamy only God of this world. He is the creation he is everything. TRUE DEVOTION never fails – well proved via Bhavaji – the REAL & ONLY GOAL to reach in one’s lifetime! Ramanuja dasan – Jai Sriman Narayana! The story about Shri Bhavajee makes readers to enter divene world of Tirumala…..visualise the surroundings of Swamy vari temple….the beautiful seshachala hills….the emperor SriKrishna Devaraya…..another great devotee of Balaji…..the story again proved that innocent love wins LORD’s love…. The videos are short clippings of Kannada movie ‘ Srinivasa Kalyana’ with main lead as doyen of kannada film industry, Dr Rajkumar playing the role of Perumal. The acting of Late Dr Rajkumar as Sri Venkatshwara and Late Sri Rajashankar as Hathi Raam Bhaavajee is absolutely mesmerizing that surely brings down the tears in eyes for the Bhakti of Hathi Raam Bhavajee towards the almighty. Watch the videos and enjoy…. Sarvam Sri Krishnaarpanam….. Thanks for narrating this well!